Shop X Gallery owned by GreenRoom is located in Taipei city, Taiwan (R.O.C. 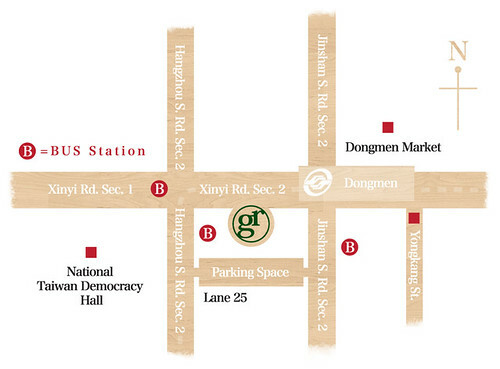 ), near Yongkang Street, Chiang Kai-shek Memorial Hall, and Domgmen MRT station Exit 3. You can follow the address below to find us!